HAMPTON, NH – As the club prepares for the 2019 season, the Seacoast United Phantoms have appointed Francesco D’Agostino as head coach and Bob Thompson as associate head coach. 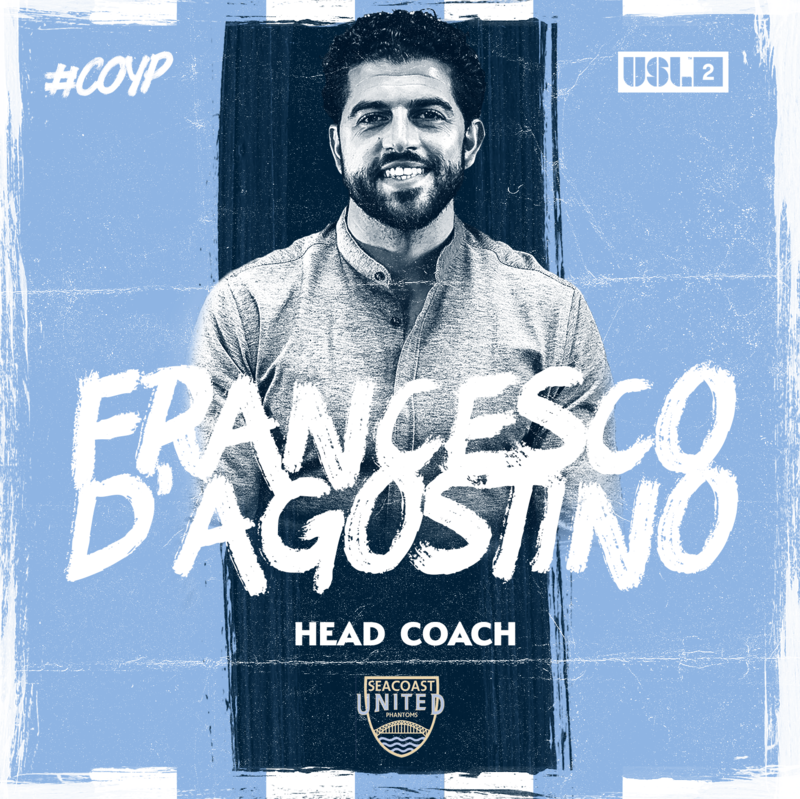 D’Agostino comes to SUSC with a wealth of experience having managed the Boston Bolts in the Premier Development League (PDL) last season, and is currently the assistant head coach at Harvard University for the men’s soccer program. Prior to Harvard, D’Agostino was the assistant head coach at UMass Lowell and helped guide the men’s soccer team to their best finish in program history with a 13-1-2 record. He then went on to take charge of the women’s program at UMass Lowell as the head coach the following season. 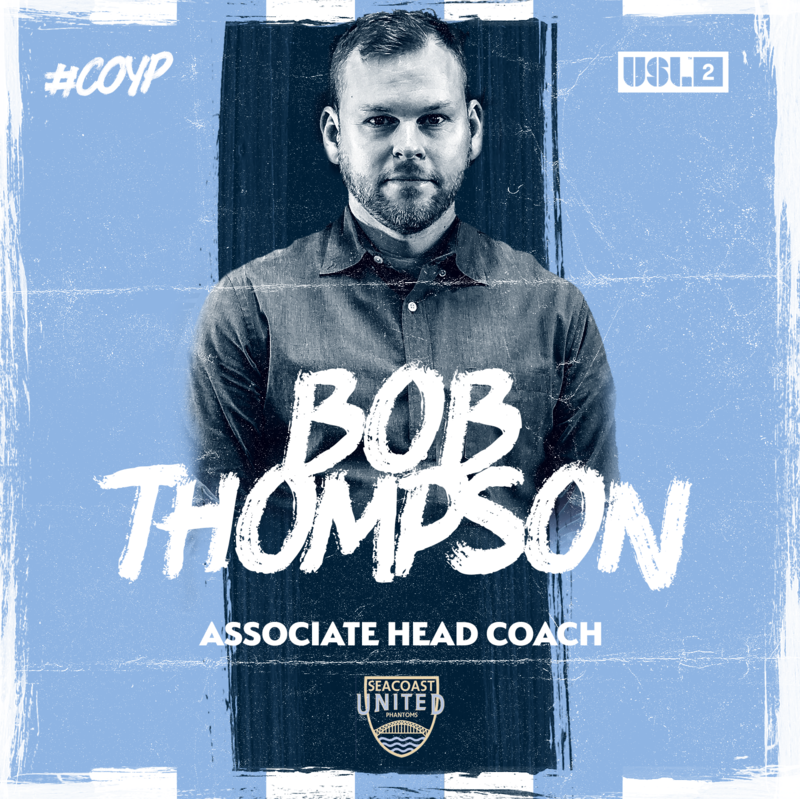 Bob Thompson is also very well recognized within the game, having spent the last 13 seasons coaching at the collegiate level. He is now the associate head coach for the Boston Collegel men’s soccer program and holds an impressive resume having previously coached at UMass Lowell, Tufts University, and Northeastern University. The Phantoms will look to add another Northeast Division title to the trophy cabinet but will have strong competition from GPS Portland Phoenix (ME), AC Connecticut, Black Rock (CT), Western MA Pioneers, Boston Bolts (MA), Westchester Flames (NY), and newcomers Manhattan SC (NY). The Seacoast United Phantoms kick off the 2019 season on May 11th when they visit GPS Portland Phoenix. The home opener will take place on May 17th at 7pm when the Phantoms host the defending Northeast Division champion Black Rock FC at Seacoast United Sports Park in Amesbury, MA. View the full 2019 schedule online here. The Seacoast United Phantoms compete in USL League Two with a roster consisting of collegiate, post-collegiate, and international players looking to further their development during the summer months. For more on the Seacoast United Phantoms program, please visit www.seacoastunited.com/phantoms.